There is a diverse set of seven OSCF championship qualifiers on the calendar in the next two weeks. 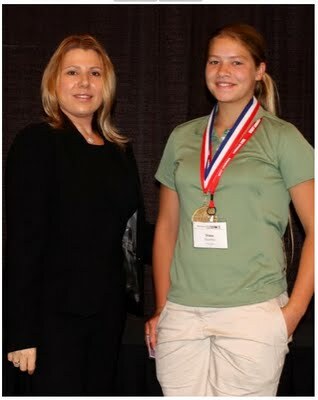 Young Oregon chess player and high school junior Dana Hannibal died February 29, 2012. Dana was a bright, friendly, and vivacious girl that had a way of lighting up a room with her presence and was dear to the hearts of many in the Oregon chess community. Between rounds at chess tournaments, she was energetic and talkative and witty. But when it came time to play her games, her focus was intense. It would always amaze me how a young person so vivacious and active could so quickly change gears to sit for hours with sharp concentration–and with such great results. For example, she was always near the top of the OSCF All-Stars list for her grade, was the Grand Champion for Middle School at the OSCF State Championships in Seaside in 2008, and for years she was rated among the top 100 girls in the USA for her age (U13, U16, U21) while she was still active. Play me on your lawn. Reach the end and you’ll grow tall. Chess, who’s beauty goes ever on. In January 2010 she turned her sharp mind away from chess to other activities. She had a keen interest in science and maintained a 4.0 GPA at Sprague High School in Salem. She had her sights set on medical school to put her considerable talents to work in a noble cause. She was making great progress getting there. Last summer she served as an apprentice in the Harper Environmental & Molecular Toxicology lab at OSU, and last fall she scored well into the 99th percentile on the PSAT and would likely have been named a National Merit Scholarship semi-finalist when the list is announced later this year. Her talents extended well beyond the intellectual. 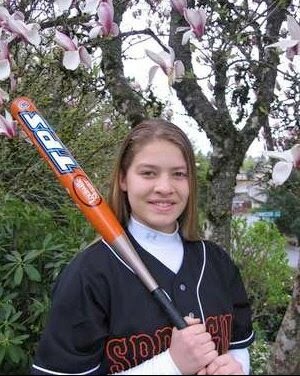 Not only was she a varsity softball player, she was darn good…named to the First Team All-League at the OSAA 6A softball playoffs in 2011 and was chosen to represent the Northwest Elite team to play in the International Softball Federation Youth World Cup in Florida in early 2011. She also played varsity Soccer…and was darn good in that too. She was named to the Second Team All-League at the OSAA 6A girls’ soccer playoffs in 2011. More important than her many accomplishments, Dana was a warm and friendly girl, quick with a smile, and had a cheerful and infectious good will that she willingly shared. The world lost a great mind in Dana and also a great heart. She will be greatly missed.